So now that we understand how job descriptions can handcuff hiring managers and scare away potential game-changing candidates, I want to continue on this journey by discussing how they can be damaging to employees once they are actually hired when they are improperly used. Job descriptions limit people greatly, especially once they’re hired. Job performance is often measured by how well an employee accomplishes the duties and skills listed in a job description. Job descriptions need to list basic requirements of the position but should not dictate the overall career path and goals. They can greatly discourage people from stepping outside their comfort zone and finding new ways to innovate and improve their team and company as a whole. Keep your head down, do as you’re told, and do well on your performance review so you can get your raise. Anyone see the problem here? It’s a massive one. As Ferris Bueller says, “The world moves fast,” so if you’re company doesn’t innovate just as fast, you’ll be left in the dust. Jobs and companies have to evolve so fast, those initial job descriptions can be completely obsolete after only 6 months. 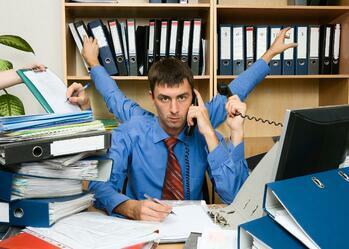 Job descriptions breed complacency and entitlement. Say you want to encourage your employees to grow, change, and innovate. You want them to take on new projects, come up with new ideas, learn new things, and push the boundaries. “That’s not part of my job description.” Heard that one before? Not all employees may want to step outside the box. If you simply hand them a checklist in the beginning, you will give them an excuse to be lazy. Generally, we want people to view themselves as part of a team, so that when they are asked to change what they do and innovate, they see it as a way to improve the team and company as a whole. Job descriptions set goals for the company, not individuals, and therefore inhibit growth of individuals. You’re only hurting your company by not pushing your employees to grow. By inhibiting your employees with boxed-in job descriptions, you are keeping your employees from playing to their strengths, and enabling them to stick to their weaknesses. 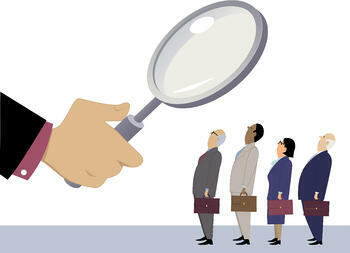 Attract star candidates with effective job advertisements. We need to create job advertisements, not job descriptions. They should be separate. Job advertisements should be short and sweet, and they should describe the mission and career (not position) objectives. Where along the line did we lose the idea of KISS--Keep It Simple Stupid? Simplify what you can, where you can, and remember that people are looking for a job that will help them grow professionally and personally. No one looks at a job posting and thinks “Wow, I get to coordinate monthly staff meetings and order supplies! Oh boy!” Well, almost no one, but we have to remember to be honest, sometimes brutally honest. Simon Sinek does a great piece on Sir Ernest Shackleton’s famous want ad and if you have read this far, invest another 3 minutes and watch the video; it’s well worth it. Don’t limit your employees by building a box around them. Get rid of the box. Actually, burn it down. Give an employee goals, targets, and achievements to aspire to, but most importantly don’t limit them. Just because Dave is over in recruiting doesn’t mean he can’t have a keen eye for some marketing collateral that is going out. 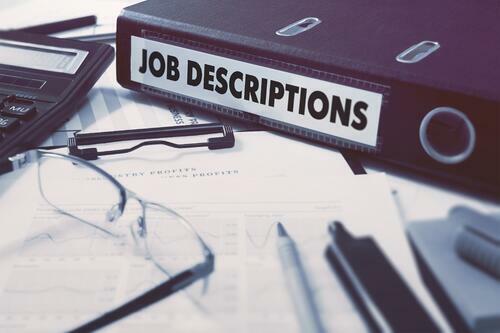 Use job descriptions sparingly as a performance management tool; don’t slip into the trap and let it be a means for talent attraction and then a definition of one’s career. You will attract the most people by conveying how they can contribute to the company and help grow both the organization as a whole and themselves. No one wants to feel like a small cog in a big machine. Make them feel like the conductor driving the train on their career track.